Clark Aldrich, one of the top educational simulation designers in the world and the founder and managing partner of Clark Aldrich Designs, has been developing what he believes is the next stage of the Serious Games/Educational Simulation concept over the past five years. Clark has and will continue to speak about it this year and discuss the game changing nature of short simulations as an educational tool, including in New York City at Revolutionary Learning 2016 to be held August 17-19, at the Roosevelt Hotel. Clark Aldrich’s Session: Teaching and Learning with the Short Sim. 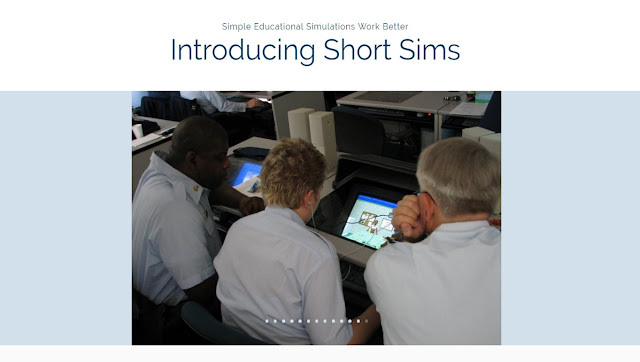 Early July, Clark Aldrich launched a new website where he introduces Short Sims under the motto “Simple Educational Simulations Work Better”. 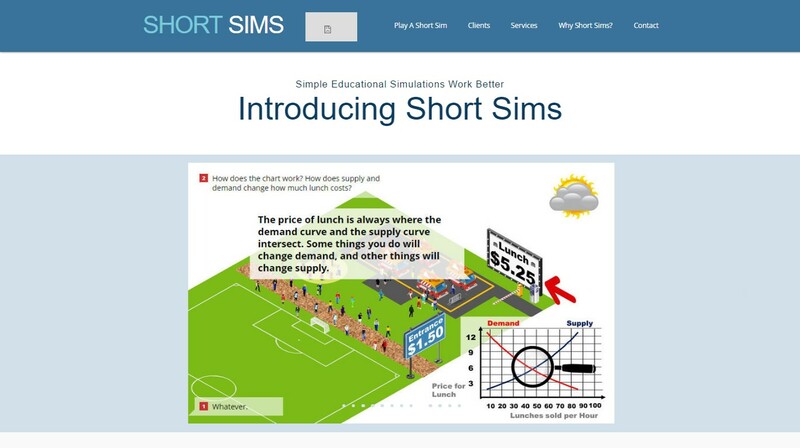 According to Clark, Short Sims are faster to create and update, platform independent, richer content and more engaging than traditional media, 508 compatible, and more flexible than Serious Games and Simulations. Clark also believes that Short Sims make it possible to retain the strengths of multiple choice tests, while testing entirely new areas of student knowledge, in a way that is often more engaging and satisfying. · Short Sims can put students in social situations with many possible options. For example, a student can be put in the place of a doctor interviewing a patient, or a police officer interviewing a witness. · Short Sims can present complex processes for students to perform, remembering past decisions. This could be rebuilding an engine or completing some multiple step math problems. Short Sims could even give diagnostic feedback or partial credit. 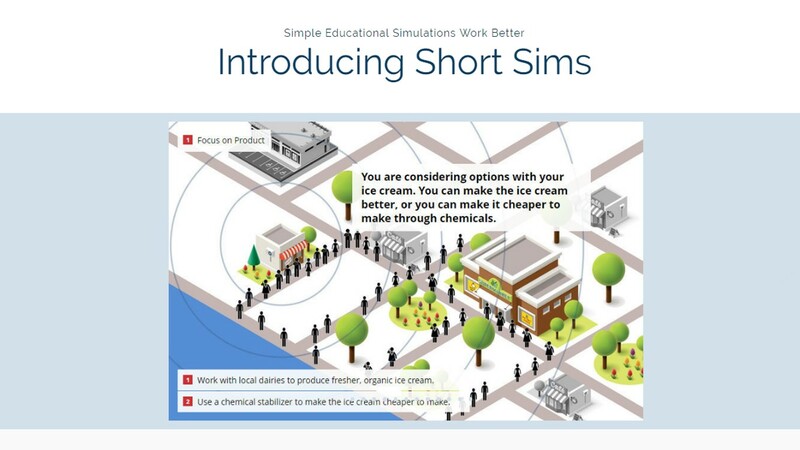 · Short Sims can make it easier for assessment to use interactive diagrams or other visuals. Students can identify the right piece of equipment to do a certain task, or the right place on a map. These can be multiple step (first choose the right state, then the right region in the state). 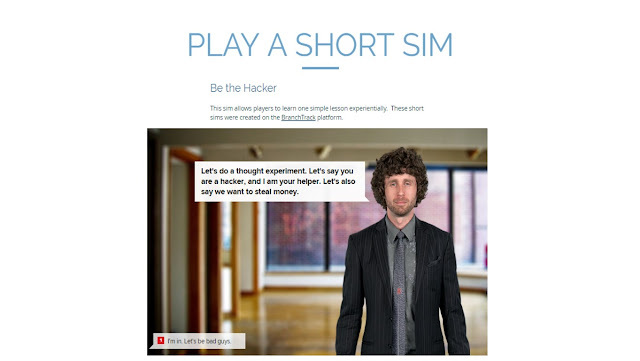 · Short Sims can also be adaptive, tailoring subsequent situations based on past results. Clark Aldrich has just completed a year-long development effort building Short Sims for The Gates Foundation’s open education Economy 101 textbooks series.